Rome sources reported that an earthquake measuring 4.7 magnitude on Tuesday hit an area of central Italy that was devastated by a major quake in 2016. Meanwhile as per early reports the Tuesday quake caused some minor damage but no serious injuries. According to sources the epicenter was in the town of Muccia in the Marche region and hit at 5:11 a.m. 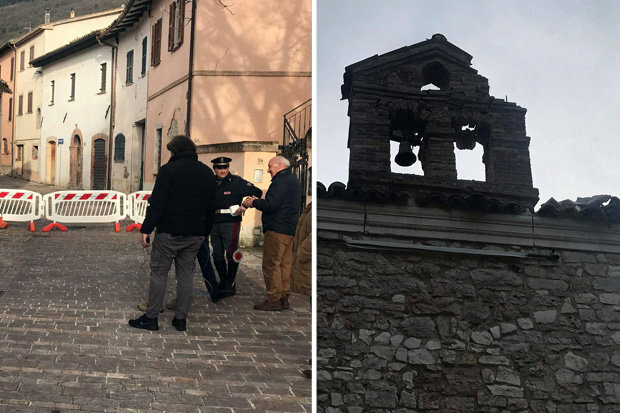 The mayor of the town of Pieve Torina, which was hit hard by the 2016 quake, reported that Tuesday’s tremor had caused some damage. He said schools had been ordered shut. Train service in parts of the area was suspended to check for possible damage to tracks. Media reports that the 2016 quake, which was of magnitude 6.2, killed nearly 300 people and razed villages. Moreover After the strong earthquake in central Italy in 2016, the earth in the Muccia area had been shaken again for several days. Earlier on April 4, there were two high-intensity shocks, one 4/19 in strength 4 and 20:41 in magnitude 3.6. Furthermore after the earthquake, several replicates of the order of 2 to 3.5 were recorded.